It must be his Russian blood; my husband loves his beets! One of our favorite ways to eat them is in borscht, but pickled beets are a close second. 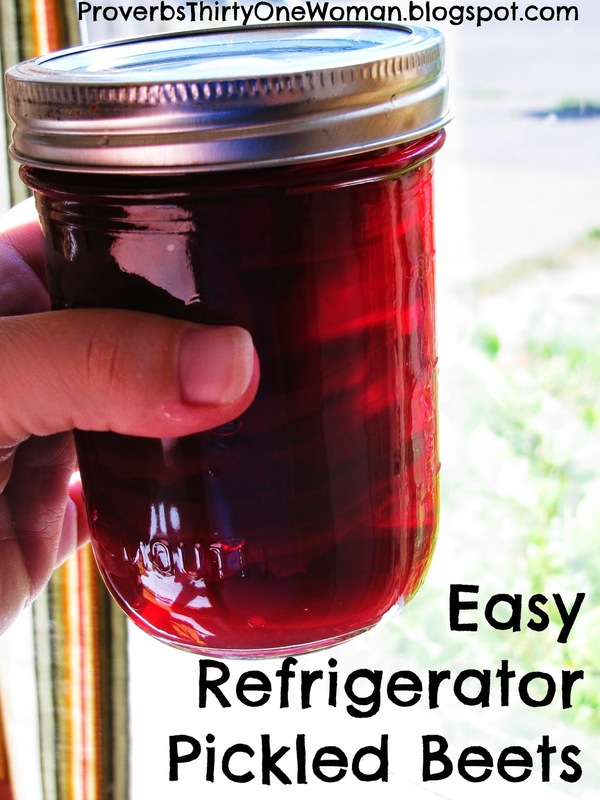 (Want even more ideas for eating beets? Check out my cookbook A Vegetable for Every Season.) 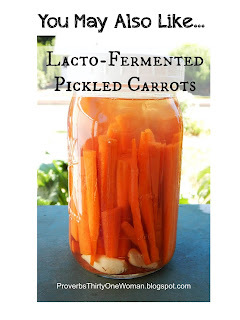 This year, my beet crop was mostly eaten up by slugs and snails, but a friend gave us just enough for refrigerator pickles. 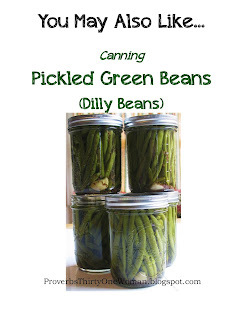 This is a really easy recipe, and the resulting pickle is yummy - or so the pickle-lovers in my family tell me! * UPDATE 7/2017: I now completely omit the sugar in this recipe. My family actually prefers it this way. 1. Scrub the beets clean and slice off the stems. Put them in a pot and cover with water; place the pot over medium high heat and bring to a boil. 2. Reduce the heat to medium, cover with a lid, and cook until fork tender. 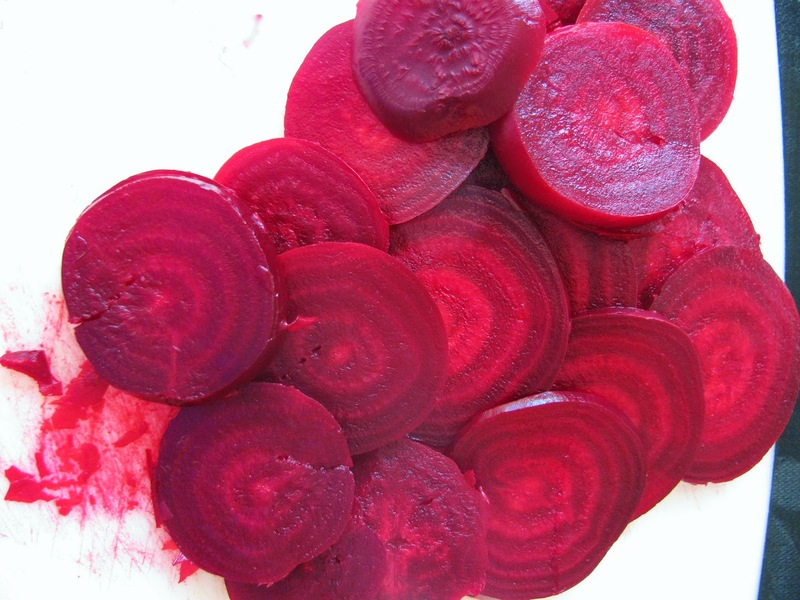 How long this takes depends upon the size of the beets, but average-sized beets take about 25 minutes or so. 4. 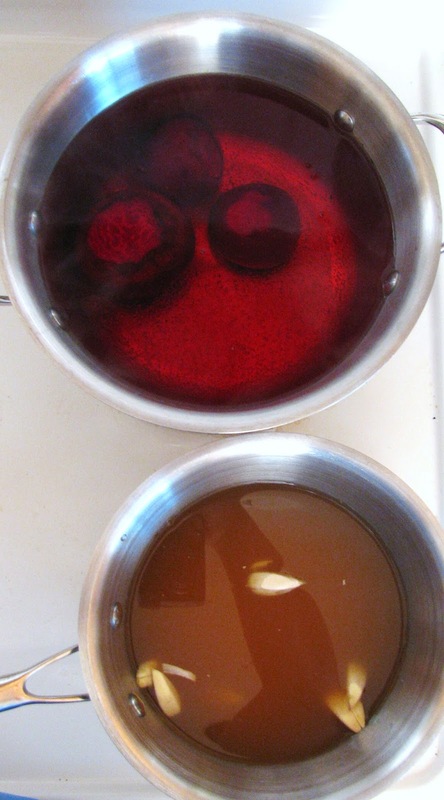 While the beets cook, make the brine by pouring the vinegar, water, sugar, and garlic in a saucepan placed over medium high heat. Bring to a boil, then reduce the heat and simmer for 5 minutes. Remove the pan from the heat and allow to cool completely. 5. Once the beets are cooled enough to comfortably handle, slip off the peels. 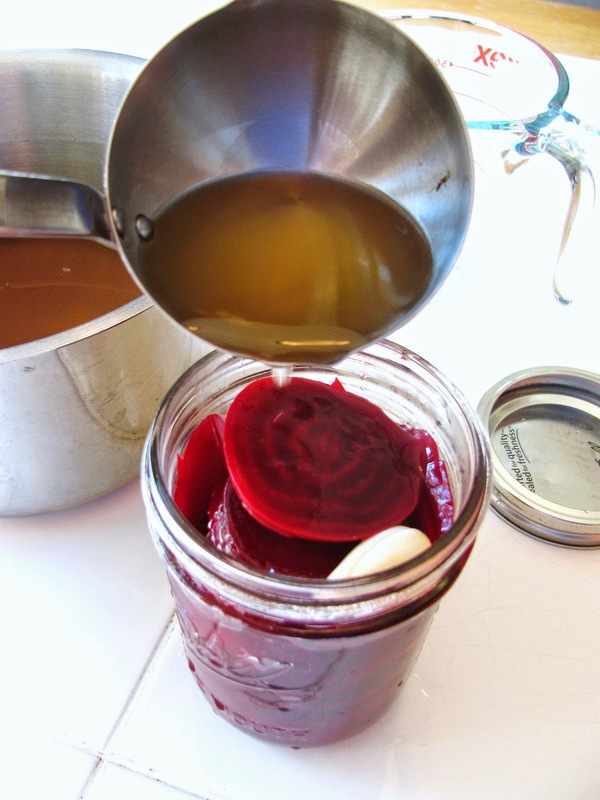 Slice the beets, place in the jar, and cover with brine. Seal with a lid and refrigerate for at least a few days before eating. Hi There, I can't eat garlic. Do you think this would work with cloves as a substitute? Just a follow up to let you know I made them with cloves and they are absolutely amazing!! My husband ate a whole jar in on sitting!! This will be my go-to recipe from now on. Thank you for the inspiration! TDog, thanks for the follow up! I'm so glad they turned out great! I did these about a month ago and forgot them in my fridge! Any reason they wouldn't still be good? Mverg, this is a personal choice. Personally, I would open the jar and sniff them and check for mold. If all seemed normally, I would eat them :) Vinegar is a good preservative. GOD BLESS YOU FOR THIS & IT ALL .